We are a small program dedicated to breeding the highest quality Egyptian Arabians possible. Our focus is to cross quality bloodlines that will achieve beautiful and rare individuals of exotic type with equal attention to classic balance and movement. To be guardians of this lofty goal is both an honor and a tremendous responsibility. 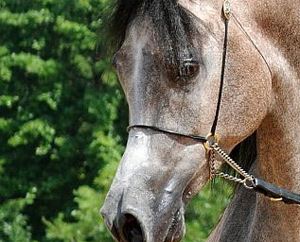 We welcome your inquiries and your interest in the Arabian horse.